I grew up in a coastal town in New Zealand, surrounded by fishing enthusiasts and spending summer days being pummeled by the breakers of the vast Pacific ocean. Now I live on the edge of a Swedish fjord, where the water is calmer, and I spend summer days swimming in the warm shallows with my two kids. The ripples on water are like the phases of my life, radiating ever further from their starting point, all the way from one side of the world to the other. 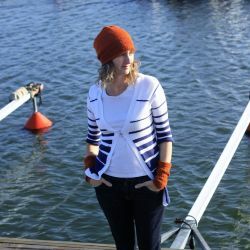 Those ripples inspired my Ripple Cardigan design, a transitional garment for cooler spring days or summer nights. 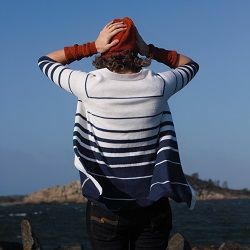 Ripple is a top-down seamless cardigan generated to your own measurements and gauge! 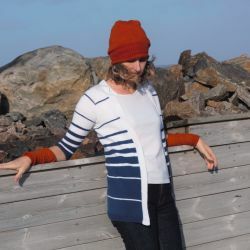 Knit it in fine merino for a lovely drape, or something chunkier for a more cosy heavyweight cardigan. 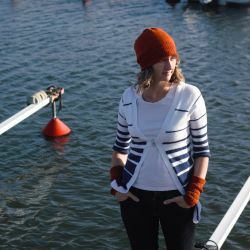 The cardigan hangs open as designed, but you can easily extend the neckline band to accommodate a pin closure. Want to see what you'll get? We have a free example of the Ripple cardigan pattern that is sized for a Lammily doll. 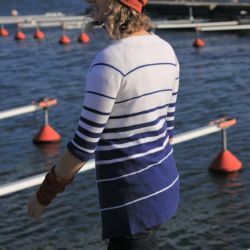 Your customised pattern will have just the same format, but the stitch counts and measurements will have been automatically graded to your size and gauge. 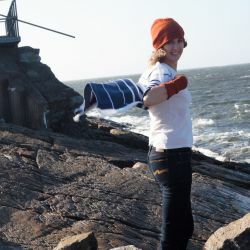 The example pattern is available for free, and you are more than welcome to knit it for your Lammily or Barbie doll! 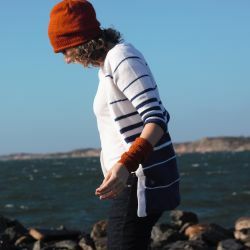 If you knit it, please let us know by sharing it on Instagram or Facebook and tagging @kniterator, or by linking your Ravelry project to the "Kniterator's Ripple" pattern entry.